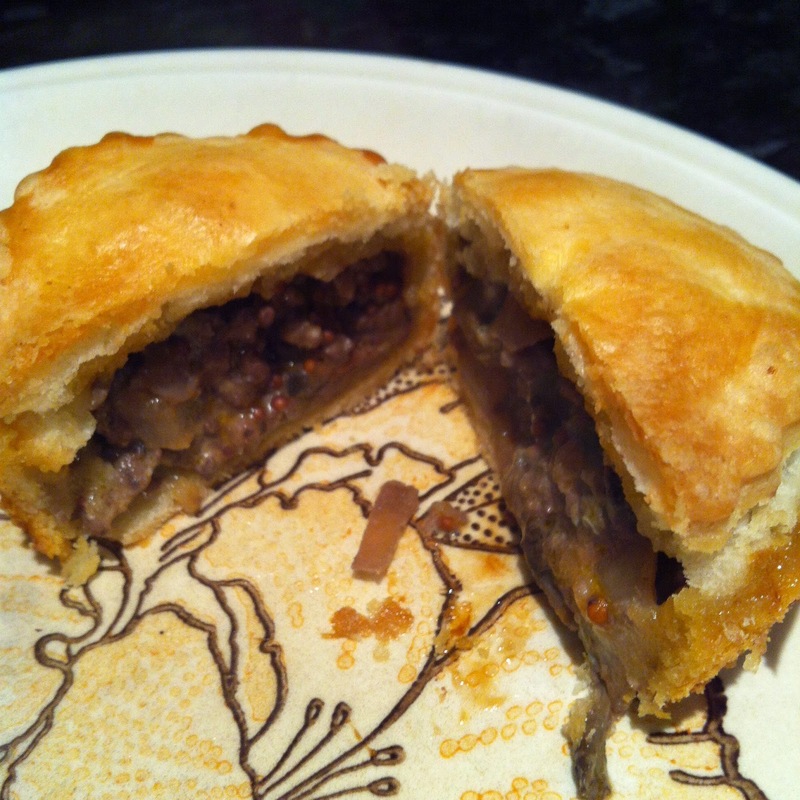 continue reading "Reci-pie Review: Beef and Stilton Mini Pies"
Yes, of course it is not just the British who celebrate the wonder of pie (although I do think we do an amazing job with a whole British Pie Week dedicated to pie!) The American's have set up National Pie Day to celebrate the pastry beauties - which is this year celebrated today on Friday 23rd January. This makes it an extra special Pieday Friday to enjoy pie on! So whatever pie you enjoy today, we hope it's a good one that rates well on the 7 Cs of pie rating! If you need any ins-pie-ration, you can of course see the hundreds of pies we've rated on our pie blog via our Pie Rankings or our Pies Categorised! Of course us Brits need far longer than just a day to enjoy pie in! Which is why we are one of the strongest promoters of British Pie Week, happening this year between Monday 2nd and Sunday 8th March 2015. You know where to come for all the latest pie news this year, but why not reminisce about the 55 pies we ate for British Pie Week 2014?! 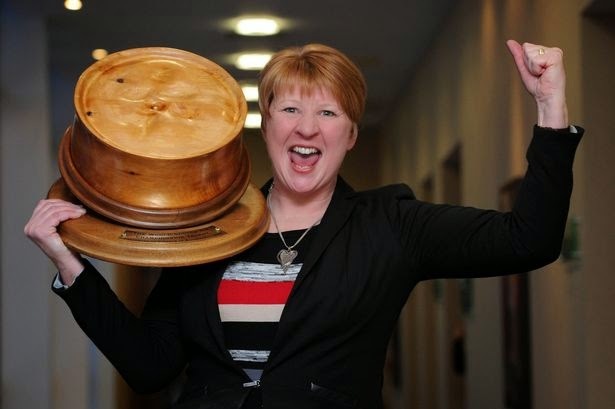 15th World Scotch Pie champion awarded! I'm sure you already know that Murrays Bakers of Perth were crowned the 15th World Scotch Pie champion, following our article on the Scotch Pie Club Awards 2015. A massive congratulations to them! Last year's winners, The Kandy Bar in Saltcoats, also did very well again this year, winning the "Football Pie" category and scoring well in the Scotch Pie category again. You can read about their previous success and our review of the 2014 Scotch Pie Club Awards that we judged at last year. Mirror Row Zed were flattered at appearing in the last edition of Friday Pieday! 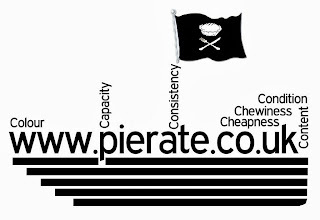 TOP 6 HIGHLIGHT - British Pie Week and all 55 pies consumed by the Pierateers in it! So many highlights, we had to do a whole day-by-day account of it, including a Python pie, a day of just eating apple pie and Pierateer SJL eating 21 pies - one for every meal of British Pie Week. TOP 6 HIGHLIGHT - Pierateer SJL proving that you can eat pie and lose weight!!! Yes, we can hardly believe it either! TOP 6 HIGHLIGHT - Pierateer TJP judging at the British Pie Awards 2014, where Pierateer RAS was media correspondent! TOP 6 HIGHLIGHT - Our first ever TV appearance came on the Great British Bake Off: An Extra Slice programme, featuring Michel Roux Jnr rating the Pierateer's Crocodile Pie! TOP 6 HIGHLIGHT - Featuring on the BBC Sport Website in a video on the "Pies of Football" for the Price of Football Study 2014, including travelling up to Morecambe FC to rate their latest Pork and Irn Bru pie! TOP 6 HIGHLIGHT - Our first ever Birthday Pie-rty to celebrate Pierate being 5 years old! 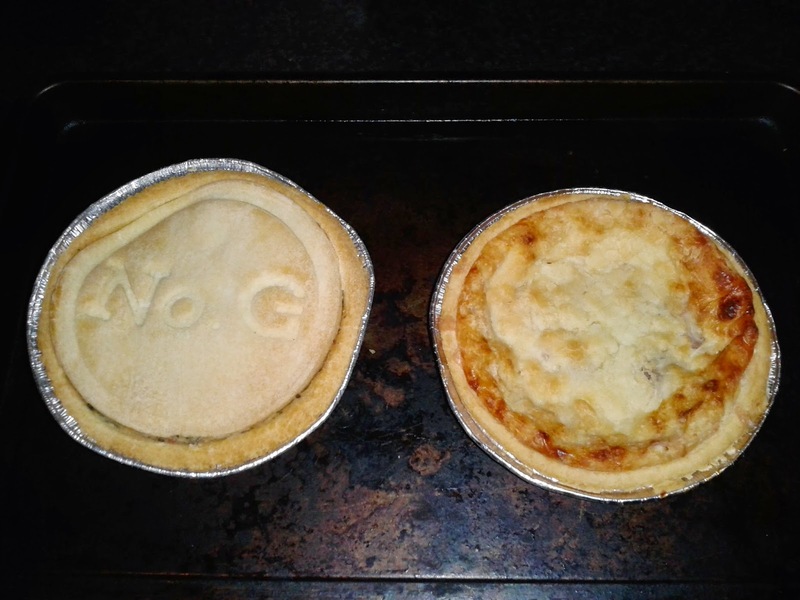 continue reading "Pieday Friday - National Pie Day - 23rd January 2015"
When SJL came home from the supermarket and presented me with a No.G GF quiche and pie i was really quite excited!! Especially so as it was reduced which in my mind is even better!! We decided to have half quiche and half pie each with our dinner so whipped them in the oven and prepped the veg! They are super quick to cook, taking only 15 mins in the oven which is appealing to me as i get to impatient waiting for food when hungry!! My first thoughts were that they were well presented - the pie even had writing on the top which is pretty smart! I thought that they were a little on the small side so was glad we had plenty of veg to go with them! First of all i tried the quiche which was amazing!! Maybe its was the fantastic quiche that gave me to high expectations for the pie, but i felt that it wasn't as good as the quiche so maybe i shouldn't have eaten them at the same time!! The pastry was soft, very crumbly and tasted like pastry we make at home, a bit floury. I thought the pastry could be more crispy like the quiche. So onto the filling....I am not sure why but the filling didn't quite win me over. I felt that the chicken could have been in bigger chunks but it did have a nice texture and wasn't at all chewy. SJL thought there were nice flavours, but a bit bland compared to the quiche. Condition – 6 - Looked good with lettering, a bit broken but my fault as it said to keep it flat. Cheapness – 4.75 - £2.80 is a bit expensive. Capacity – 5.5 – No air gap, well filled. A bit shallow. Content – 4 – Flavor didn’t inspire me. Consistency – 5.5 - Pastry a bit floury, almost not there, kinda dissolved in the mouth, not in a good way. Good consistency to the filling. Didn't really blow me away enough that I felt like I would want to pay £2.80 for it. Might try it again, would be keen to try more flavours as this one didn't really work for me, but I didn't think the filling tasted bad, it might be that other people would like it. Give it a go if you like chicken, bacon and leek. I did really like the Quiche but again, I wouldn't pay £2.70 very often, maybe an occasional treat. continue reading "No.G - Gluten Free Pie"
If music be the food of love, play on. BUT if your love is for pies and pies are food then surely music is the pie of love of pies. I am not quite sure what this means but I think implies I need to eat more pies whilst listening to music.... which is pretty convenient as I am just about to review Pie & Vinyl, a shop which is unique in the fact that it brings pies and music together. Based in Southsea in Portsmouth this is a lovely little place. 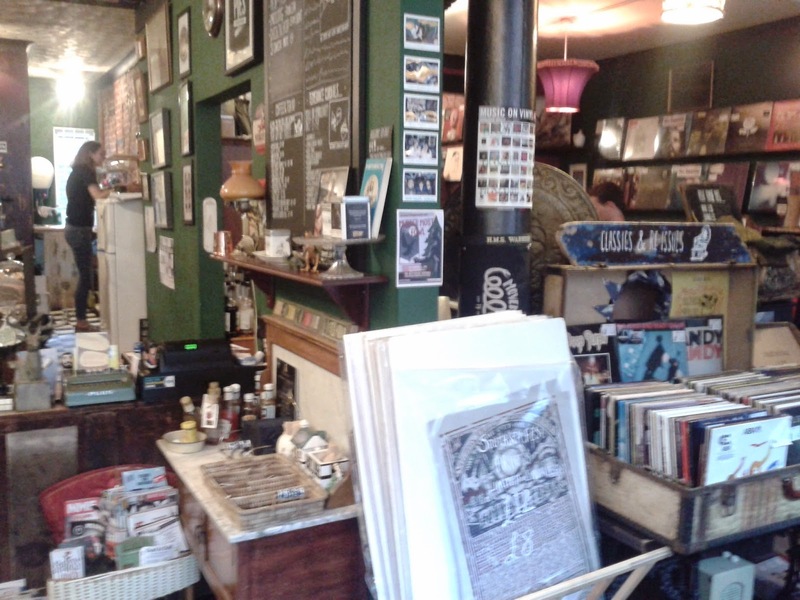 It is half casual restaurant and half vinyl music shop (plus occasional gig venue). I love the quirky and vintage style that they have, it certainly is quite different to anywhere else I have been before. Most of the things in the restaurant look like they were cobbled together from a jumble sale. To get this retro style must have taken considerable effort and I love it! Located on a side street not far from the sea front you might initially wonder how they manage to stay in business. But upon further inspection it seems like quite a trendy area and this alternative venue fits right in. After taking some time to admire my surroundings I need to decide on what pie to order. This is not all that easy given that there are a few flavours unlikely anything I have tried before. There are some made in house and some imported from Pieminister, Buckwell (who are a local butcher) and Sweetie Pie (who specialise in gluten free and vegan products). The only option was to order a load of pies! 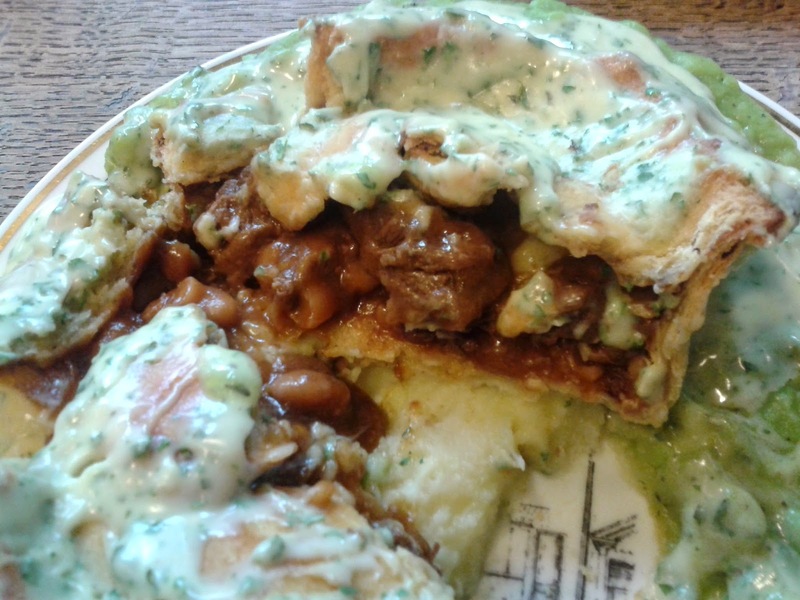 I was really keen firstly to try their own pies so I ordered a Chili Beef pie to eat in. But I made a couple of mistakes here. I ordered the liquor as the sauce (because I like that they had this traditional option) despite knowing that it wouldn't really go with the filling. I can’t believe I made such an error after my many years of pie reviewing experience. The pie came COVERED in the sauce and the flavour of it made it difficult to isolate the pie taste. I also made another error, I thought that the menu said that it was a default of salad with your pie but mine arrived with peas and mash. This wasn’t ideal as I had just had a heavy pie already at the football so was feeling rather full. But anyway I plowed on through what was a pretty decent, and unique, offering. Colour – 5.0 out of 7 – From what I could see it was quite glossy and appealing. Cheapness – 5.8 out of 7 – The meal cost £6.95 which for a proper sit down meal was really quite good if you compare it to the average pub pie. Plus this was not a mass produced product as a cheap pub pie normally is. 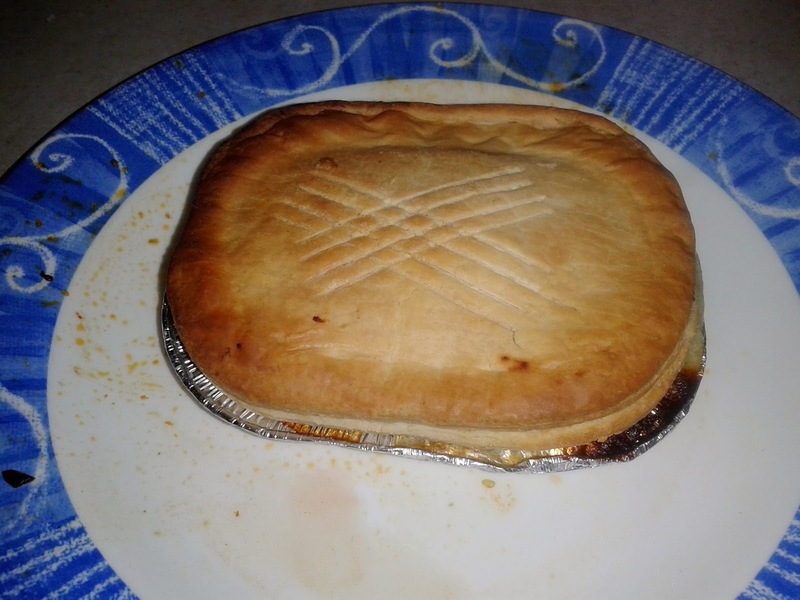 Capacity – 4.1 out of 7 – This is one area I thought the pie was lacking, there was a lot of pastry to filling and it wasn't completely filled with the big domed lid having an air gap. 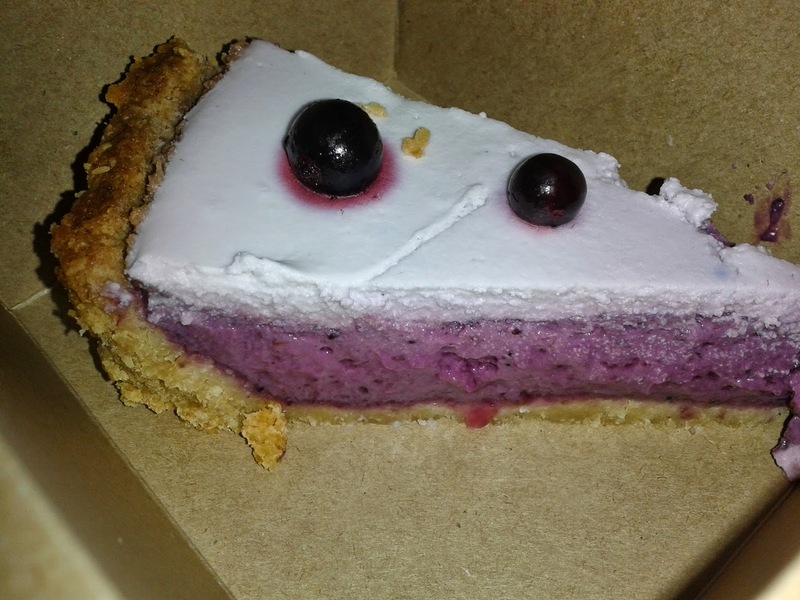 Chewiness – 5.0 out of 7 – Despite looking like it might break your teeth, the pastry was actually just nice and crunchy. The beef was in small chunks and not chewy, it was accompanied by a lot of beans which of course slipped down easily, a bit too easily, I would have liked a more to get my teeth into. Content – 4.3 out of 7 – For me this was a very mild taste, it wasn’t at all spicy, perhaps so that it doesn’t offend some customers. I would have liked a bit more of a kick given that I ordered chili. I loved that they added beans as this made the taste stand out from other chili pies. Overall a pleasant, sweet tomato taste. The pastry also tasted good on it’s own. Consistency – 4.5 out of 7 – I found that the liquor tasted a bit ‘flour-y’ so I would avoid that next time, but given that I am reviewing the pie, it is one I would order again given the price, the lovely venue and that the pie did something a bit different. After this I felt far too full for another pie so ordered the rest to take home. Unfortunately this then relied on myself cooking them correctly which I think I might have failed with for some of them. I grabbed a Fish & Chip pie as I couldn’t resist trying this flavour! 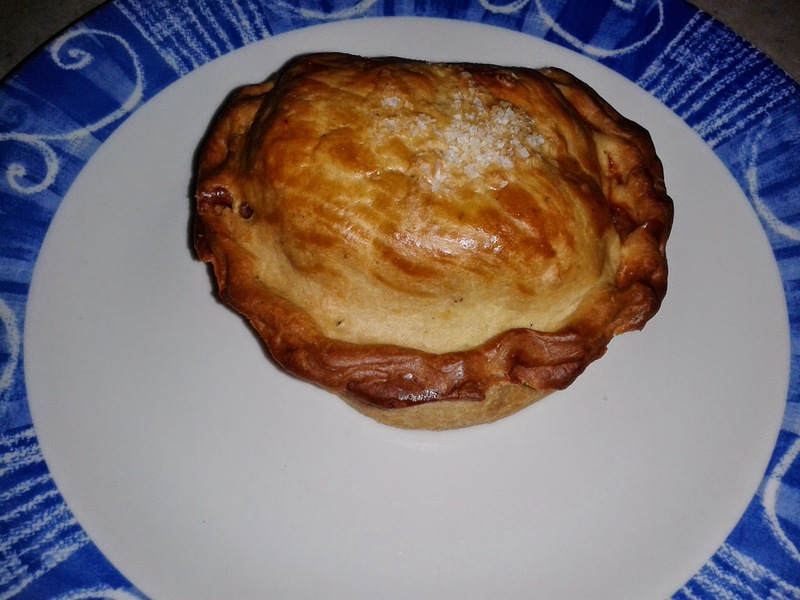 I ask got a Chicken and Brocolli from the Buckwell butchers selection, a Gluten Free Vegan Thai Green Curry pie and a Gluten Free Bumbleberry pie made by Sweetie Pie. 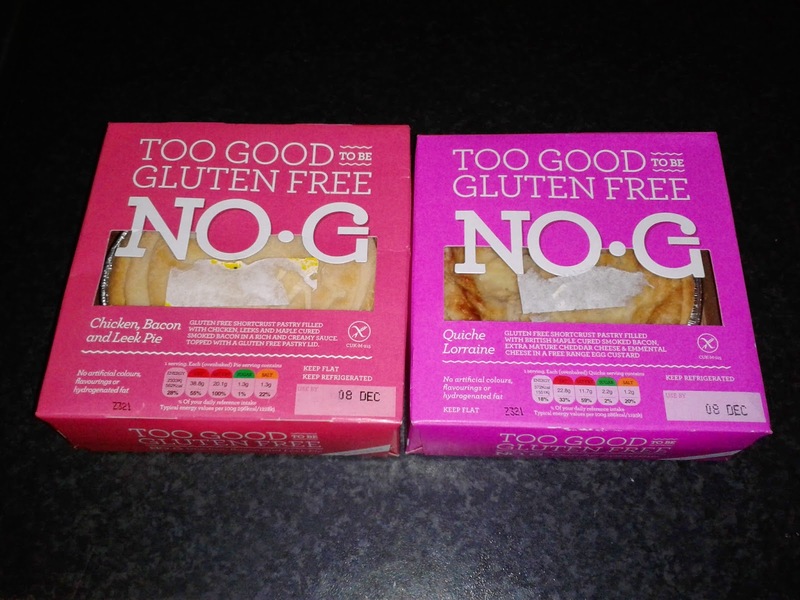 I handed the gluten free pies over to our Gluten free reviewer Pierateer ALE. She refused to give the Bumbleberry pie an official review because it lacked enough pastry to meet our definition of a pie but she did say it was ‘heavenly’. It was gone very quickly as it slid down so well. The filling was foamy and had a lovely, strong berry taste combined with a coconut taste. Despite being £2.75 it would have scored well had it been a pie. The Gluten Free Vegan Thai Green Curry didn’t go down so well with ALE. I am not sure that she was impressed that I brought her a vegan pie. You do question what they actually make the pastry out of if they can't use flour, butter or egg (we normally use egg to hold our GF pastry together). I think it is best if the review of this one doesn't see the light of day, but how about the other two? The fish and chip was especially good, see the score break down below. Condition - 5.0 out 7 – This pie was the same in style and appearance as the chili beef, it was another of the Pie & Vinyl in-house pies but not covered in liqour this time! 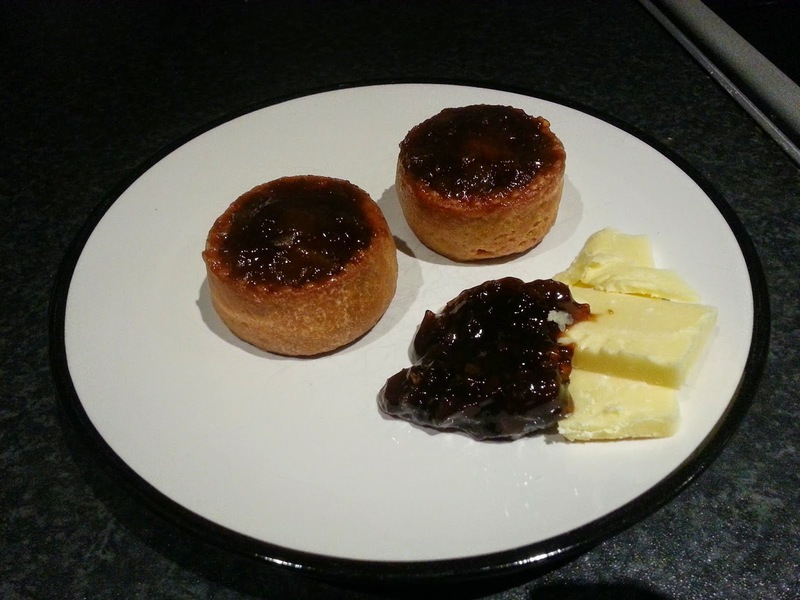 Cheapness – 4.2 out of 7 – To take away these pies cost £3.95 which doesn’t seem as good value as the eat in pie. I am not sure if I still paid the 'eat in price' despite taking them away. If so they should also have a lower 'take-away' price. They are decent size but not huge. It isn’t too much over the average for a gourmet pie and these aren’t mass produced. Capacity – 4.8 out of 7 – Same size and shape as the Chili beef but better filled. Chewiness – 5.3 out of 7 – The filling was pretty mushy and slipped down really easy, but again a bit too easy if anything. The same crunchy pastry as the chili beef but I think I slightly over cooked it because digging my knife in sent a piece flying across the room! 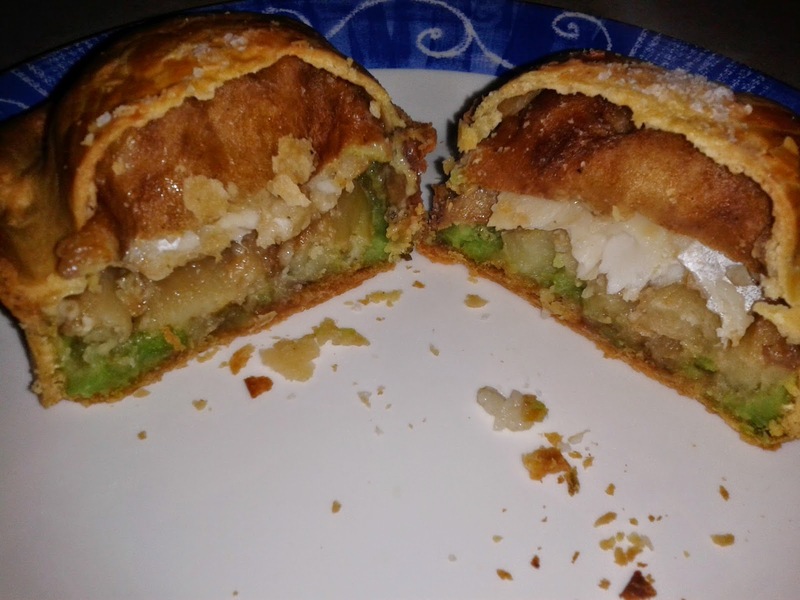 Content – 6.3 out of 7 – Absolutely fabulous, this really captured the taste of traditional fish and chips, soft, stodgy and moist, it was cooked so well in its pastry case, eat your heart out M&S! 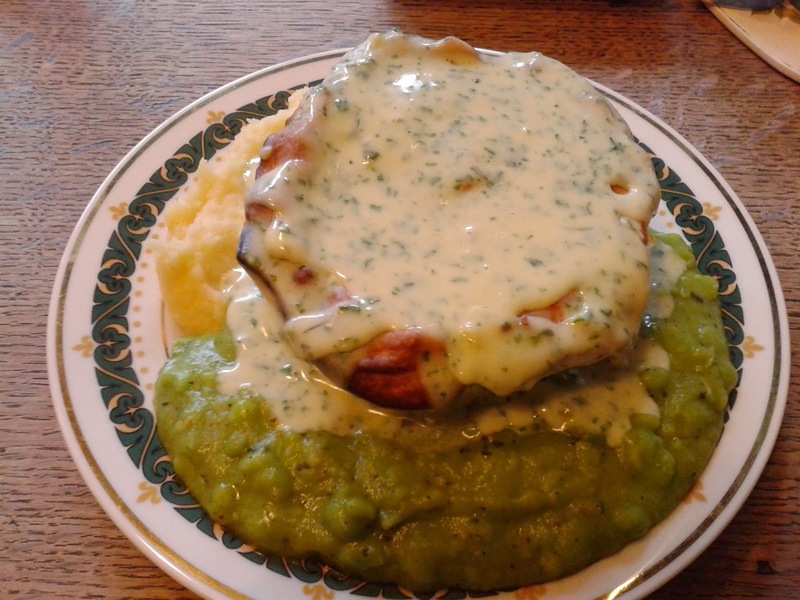 There was a layer of mushy peas, then chunky mash then a slice of fish. It was a great idea to go for chunky mash rather than chips to avoid it drying out. It was well seasoned with salt and vinegar. The mix of tastes meant it didn’t get boring. 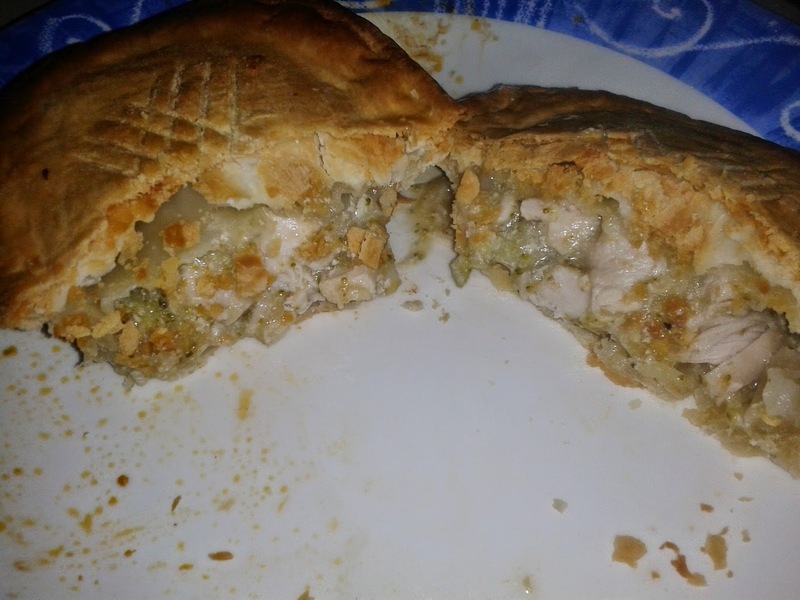 Consistency – 6.0 out of 7 – This worked so well together, the taste of the pastry complementing the filling and the individual elements were consistently good. This pie bags a 'Pierate Recommended' award. Condition - 4.0 out 7 – And now for something completely different. This was a very traditional 'oval' shaped pie. It was scored on top and looked nice enough but nothing very special. Colour – 4.0 out of 7 - I had this in the oven ages because it just wouldn't brown up. I think perhaps I was supposed to baste it in egg first but there were no instruction so I didn't know to do this. I also had no idea of recommended cooking times. It eventually browned a little but was a bit too matt and dull looking. Cheapness – 3.5 out of 7 – I do slightly dread these 'oval' shaped pies, the oversized pastry lid makes them look bigger than they are. They are a lot narrower at the base and hence tend to lack enough filling. Again this was £3.95 and for the size it didn't seem great value for a take away pie (perhaps they would be cheaper direct from the butchers). What does save it is that the filling had a high proportion of chicken. Capacity – 4.0 out of 7 – As discussed in the 'Cheapness' it didn't have a great Capacity. But it was completely filled which I love to see! 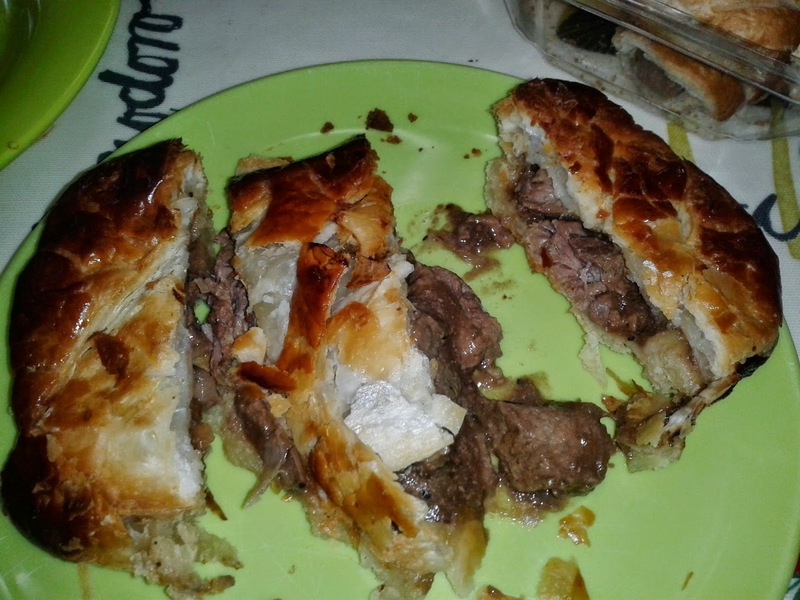 Chewiness – 4.7 out of 7 – The filling had a brilliant texture, it seemed like good quality meat. The shortcrust pastry was unfortunately dry but I think this was because I cooked it too long. 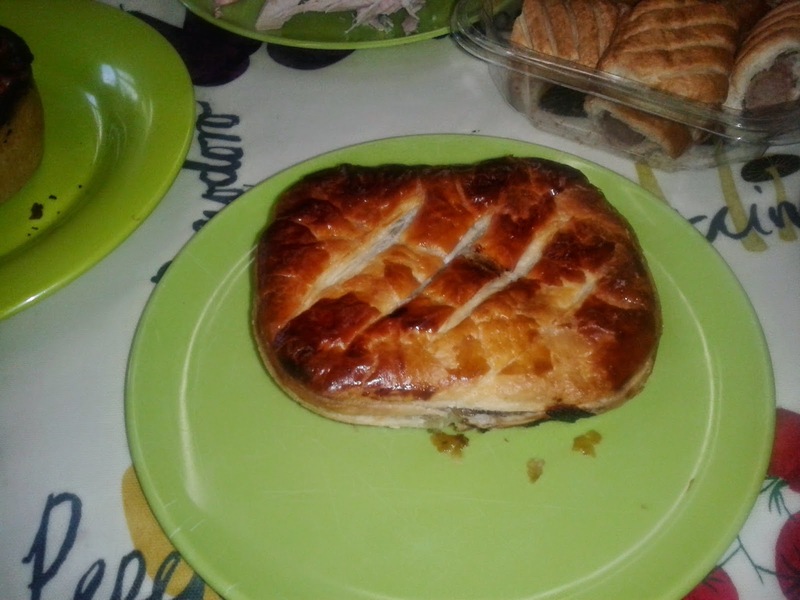 Content – 6.0 out of 7 – Despite some criticism of this pie, it does well in the most important category, it tasted great! there was a nice, creamy, meaty sauce. There was load of chicken and the broccoli added something a bit different to the taste without doing anything too weird. Consistency – 4.2 out of 7 – Good filling but the pastry could have been better, I would like to try one of these again as I don't know if I have done it justice. 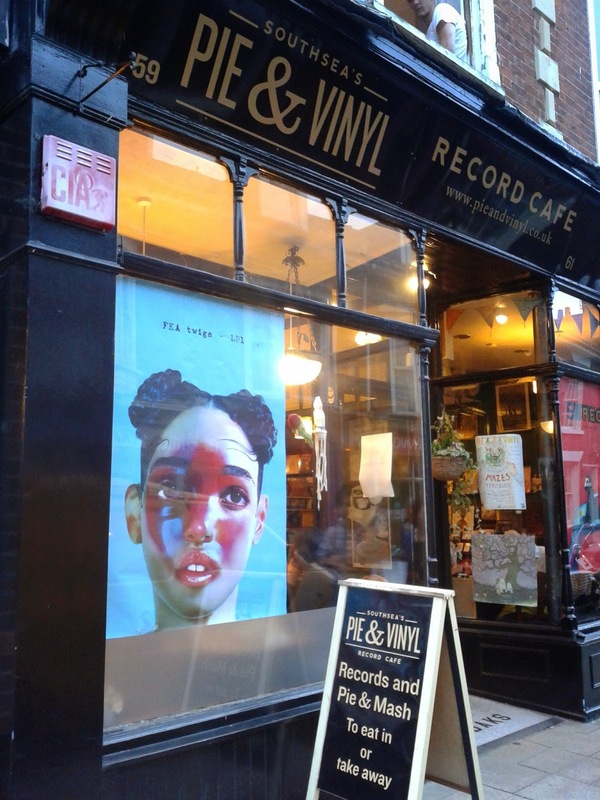 It has taken me a while to write this review but I am please to finally have ticked of Pie & Vinyl which is a very special place and well worth a visit. I notice they have now changed their menu and increased the prices (but only slightly). They still do the Chili Beef (now called Explosions in the Pie) and the Chicken & Broccoli but sadly the Fish and Chip pie seems no longer, which is a shame as it really put a smile on my face! There are plenty of other interesting flavours like gammon cooked in dandelion & burdock, a breakfast pie and a double cheeseburger pie! Hence, I am going to keep my loyalty card in the hope that I do get to visit again. 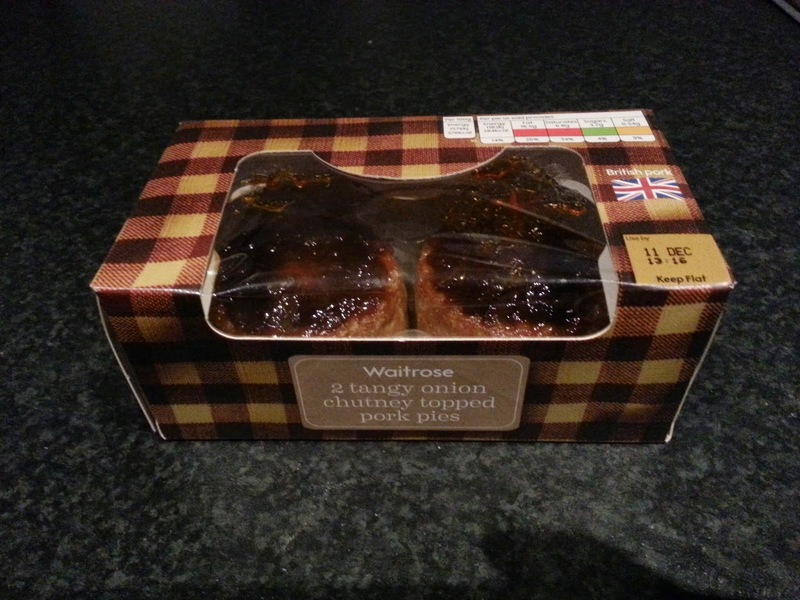 continue reading "Pie & Vinyl - Music To My Ears"
continue reading "Scotch Pie Club Awards 2015"
continue reading "Waitrose tangy onion pork pies"
After taking a week off due to the posting of our "2014 Pie-lights of the Year" article last week, Pieday Friday is back! 15th World Scotch Pie champion awarded next week! We are just days away from finding out who is awarded the 15th World Scotch Pie champion. The award will happen on Wednesday 14th January and will be presented by none other than Bay City Rollers front man and pie fanatic Les McKeown. Of course you will remember that last year's award was won by The Kandy Bar in Saltcoats and you can read about their success and our review of the 2014 Scotch Pie Club Awards that we judged at last year. Of course we're not shy to eating a pie or two at a football match! Check out our Football Pie League for the half-time pies we've rated and find out more about our interview with BBC Sport a few months back regarding the perfect football pie! A pie vending machine? Why has no-one ever thought of this before?! We're not quite convinced microwaving pies is the best way to get a top rated pie, but for sheer convenience and speed of pie purchasing, it's got to be up there! Good thinking Pukka! 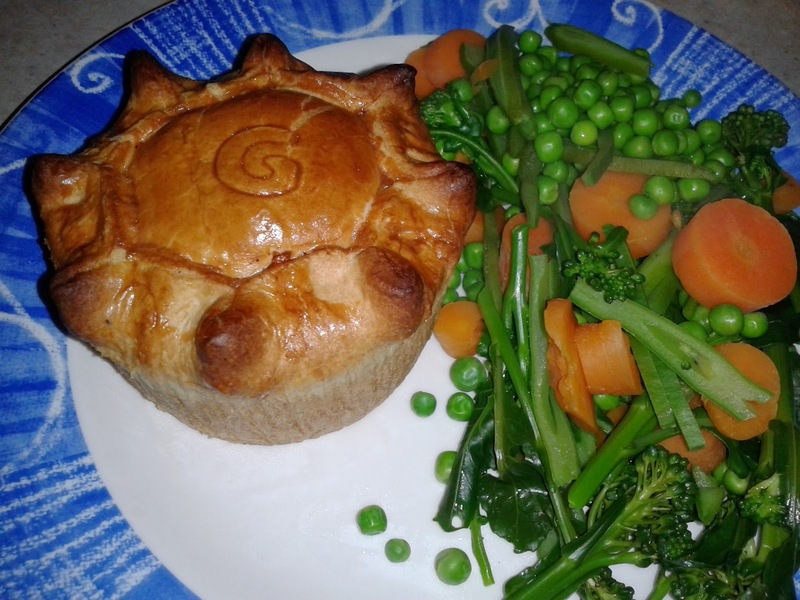 See all our Pukka Pies reviews here. continue reading "Pieday Friday - Scotch Pies Awards and Pie Vending Machines - 9th January 2015"
continue reading "It is not the end of Lane End"
Here at Pierate we often claim to be 'charting a course to find the Ultimate Pie', but what exactly is our idea of the Ultimate Pie? How will we know when we have found it? Firstly it must meet our definition of a 'Proper Pie'. We had to define this quite early on after beginning our pie quest because there were just so many questions regarding what we considered to be a pie. The observant amongst you will have noticed we have reviewed a number of pies which don't quite meet this definition. 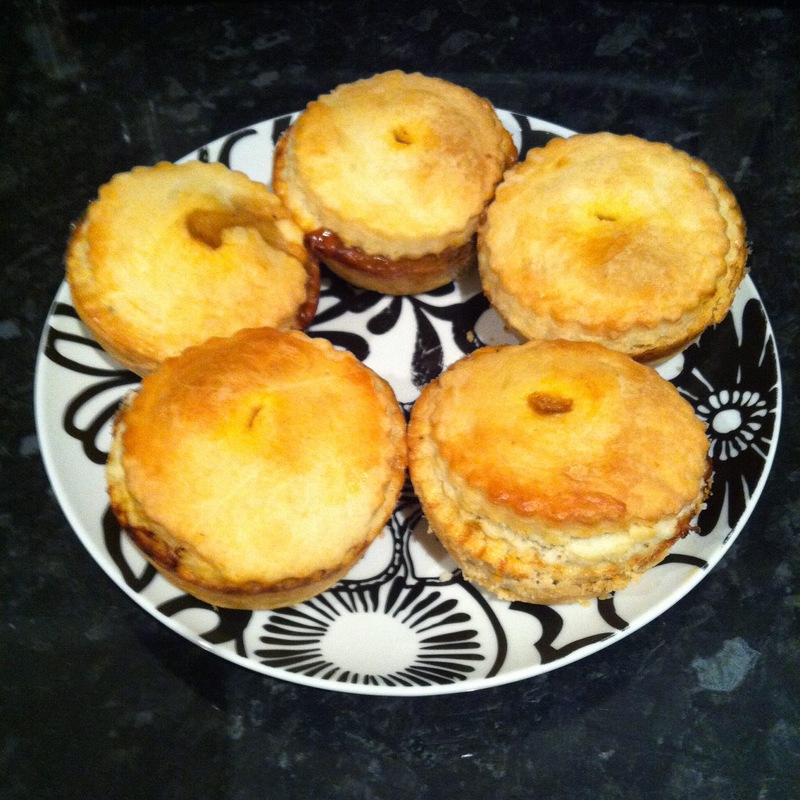 We may consider these to be 'pies' to some extent, but not quite the 'Proper Pies' that we are searching for. 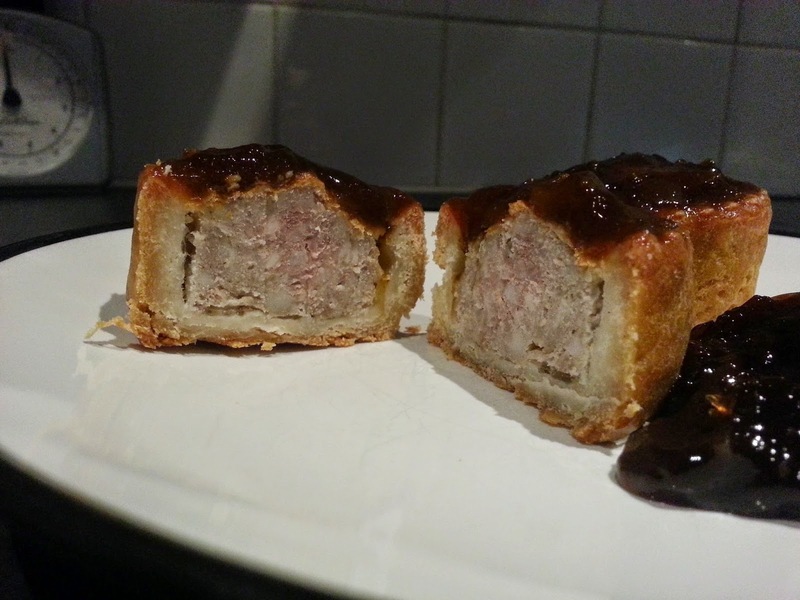 Whilst these alternatives can be very tasty, we often note in our reviews that they lose marks, simply for not wholly fulfilling the idea we have of what a Proper Pie should look like. This is often stated as 'fulfilling the quintessential essence of pieness' (thanks to 'Pie Competition in a Box' for this quote). But there are so many great pies out there which meet this definition of a Proper Pie, what else can make a pie stand out? Naturally it must score well against the 7 Cs which are the criteria we use to score all pies, you can see the article on the 7 Cs for an explanation of these. Again, there are many pies which have scored well against the 7 Cs but for the Ultimate Pie I have something very particular in mind. I think it is time to share some of my thoughts regarding what the Ultimate Pie might look like. I have broken this down into 7 qualities, many of which are already implied by our scoring criteria. Some haven't been spelt out before, they are my speculations based on insights from the pie reviews we have done so far. Individual - We might have been brought up to share, but when it comes to pies, I would rather know where I stand. I want an individual pie, which is all mine and I can enjoy as slowly or quickly as I like. Of course we have rated many sharing size pies on Pierate but what we are really looking for is the classic single person pie. Satisfying - The pie should be satisfying enough that you aren't left hungry afterwards. We might not adhere to the idea that a pie should be a whole meal in pastry but if you end up feeling you need to eat two of them, it just doesn't quite feel like it could be the Ultimate Pie. Interesting - The pie must capture the attention from beginning to end with a mixtures of taste and texture. 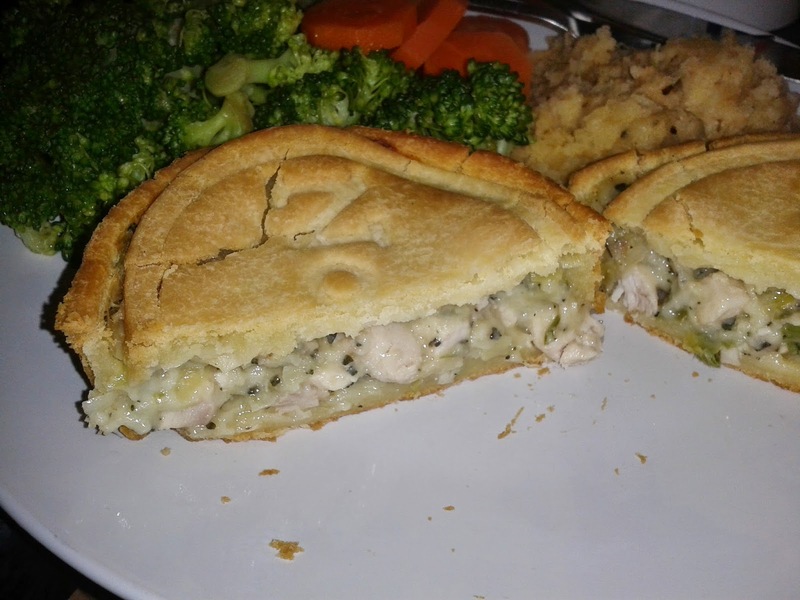 Whilst the pie should be Satisfying enough that you would struggle to eat two, it should be Interesting enough that you want to try and eat two! Cohesive - The pie should not just fall apart as you try to eat it, I would expect that it would be possible to pick the Ultimate Pie up and eat it by hand. The pastry certainly shouldn't crumble and if the sauce is too thin then eating it by hand is just asking for trouble. Unified - The filling and pastry should be in harmony together, each amplifying the other to make them greater than the sum of their parts. They must have been cooked together for some time to allow the filling to begin to mingle with the edges of it's new pastry soul mate. You can't just put a pastry lid on top afterwards! Tall - It is a certainty that the Ultimate Pie must have a perfect Pastry to Filling ratio. As already mentioned in our scoring criteria, this will depend on the density and also the thickness of the pastry. It would seem difficult to hit this balance right were the pie not to be quite tall. This would allow it to have plenty of filling to pastry. Pies often have a lack of filling, too much is rarely a problem. 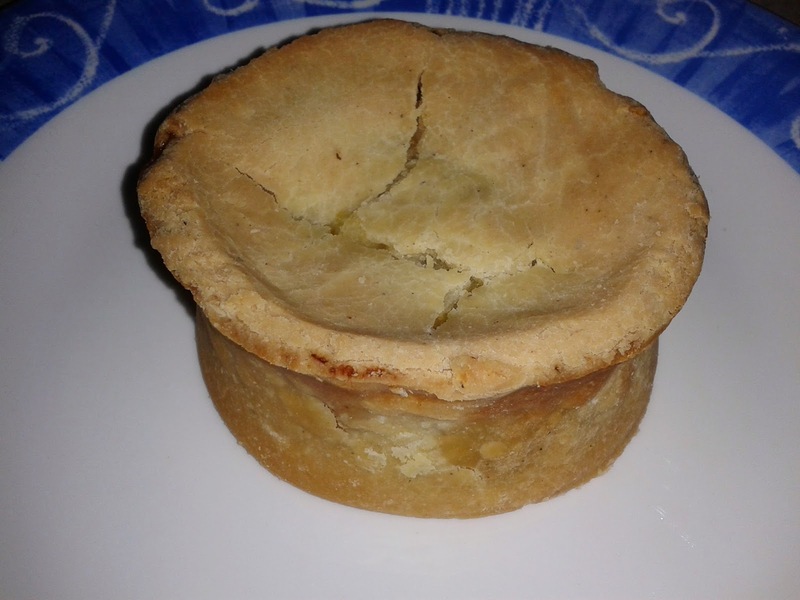 Height to Width is one aspect that makes pies stand out from other pastry products. A pie which stands tall and proud is also more likely to look the part of the Ultimate Pie. 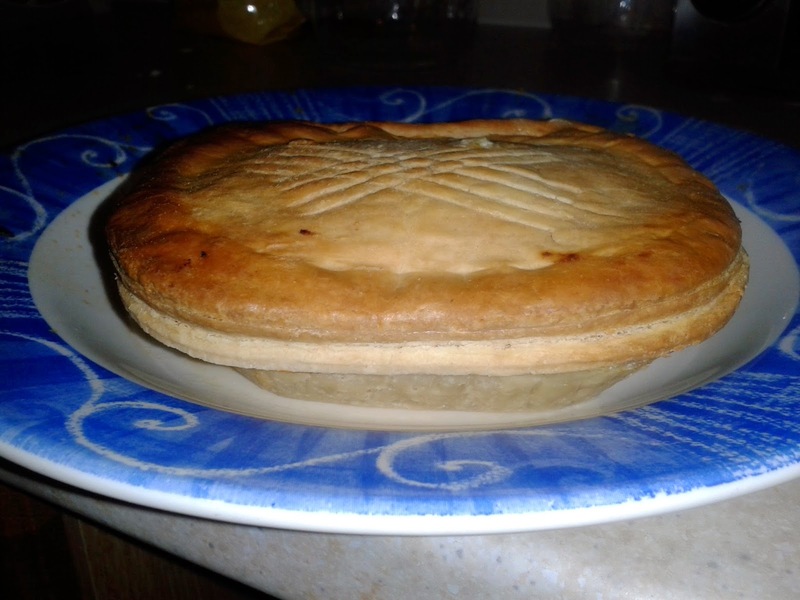 Meaty - This last one might be a bit controversial, but given that Pierateers RAS, SJL and TJP all cite that their favourite pie flavour is Steak, it would be a shock were the Ultimate Pie not also a Steak pie, or at the very least meatilicious in some other way. 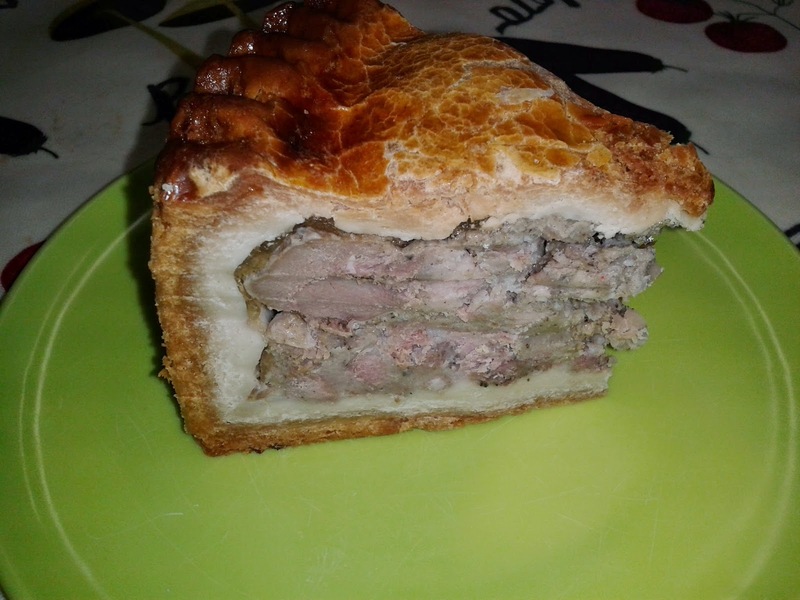 I would expect it to have quite big chunks of meat as that is what is normally found in the meat pies that score highly on Pierate. We have often described our pleasure when there are big meaty chunks in a pie to sink our teeth into. We also seem to like a rich meaty taste to the sauce. We just can't help it, we're born carnivores. Perhaps the Ultimate Pie will not fulfil these ideals and wow us all in unexpected ways. If we had a perfect idea of what the Ultimate Pie was, we could just get it made ourselves. The truth is that we just don't know yet, but we will know when we find it... and so will you, avid reader of Pierate! You will hear of our excitement because we will not be able to contain ourselves when we do find the Ultimate Pie .... and the reason we exist is to let you know. Even if we never find it, with so many great pies out there we are still going to enjoy searching for it! continue reading "What is the Ultimate Pie?" This article cannot do Pierate's 2014 highlights justice. In a year that has included our most incredible British Pie Week efforts (55 pies in total) and our first ever radio, tv and online apperances with the BBC, it seems all our wishes came true! And I thought 2013 was a vintage year for Pierate! The launch of our Pierate Treasure Map - showing you where the UK (and world's) top pies have been rated. 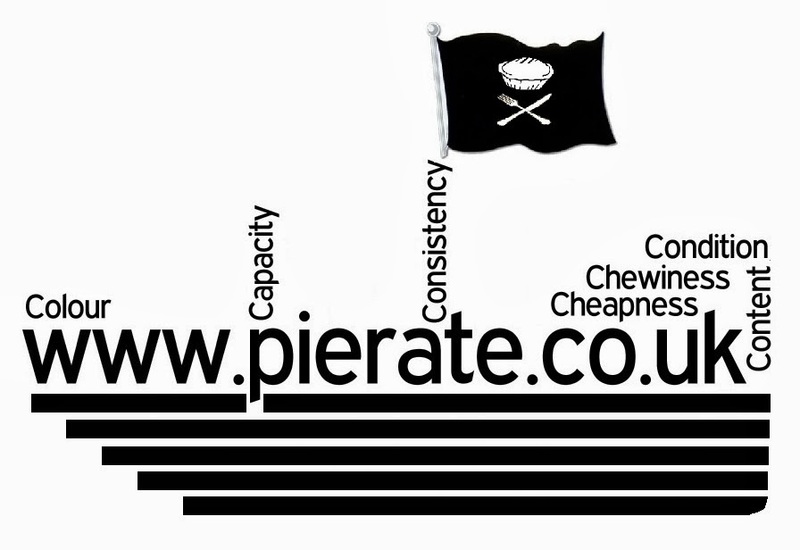 Is there a Pierate Highly Recommended pie near you?! 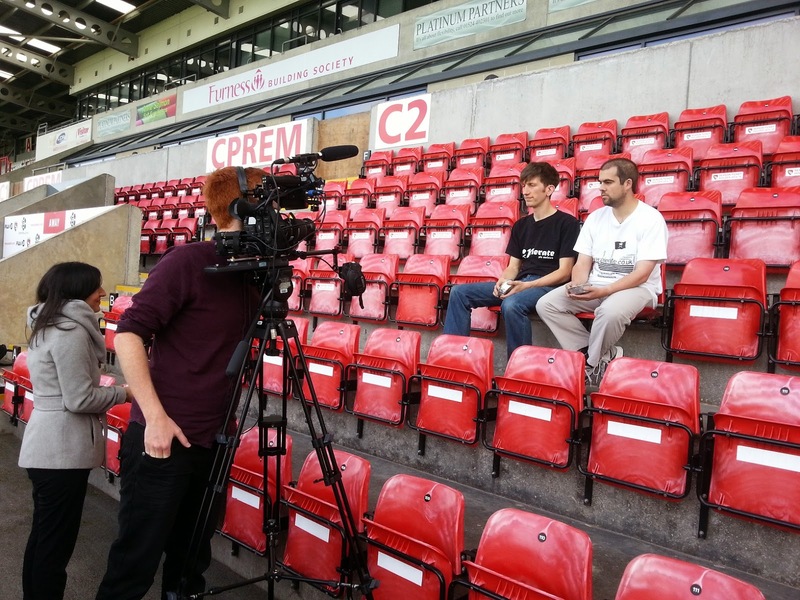 Our amazing V-I-P treatment at Morecambe Football Club, where we got to rate their top football pies (which still top our Pieremiership Table) and were filmed for their online channel, Shrimps Player, which you can view on youtube. We added our "About Us" page, which has had over 3,000 views this year! We introduced the #PiePledge, a way to commit to doing something pie related during British Pie Week! This also included making our own Pierateer Pie Pledges! Our first radio appearance! Featuring for an hour on BCfm Radio in Bristol on the Food Show! One of our most highly rated exotic pies - Crocodile Pie from Nice Pie! Celebrating 150,000 pageviews with an appearance on BBC Local Radio! The publishing of "Pies: A Complete Guide to Everything You Need to Know" by TJP. 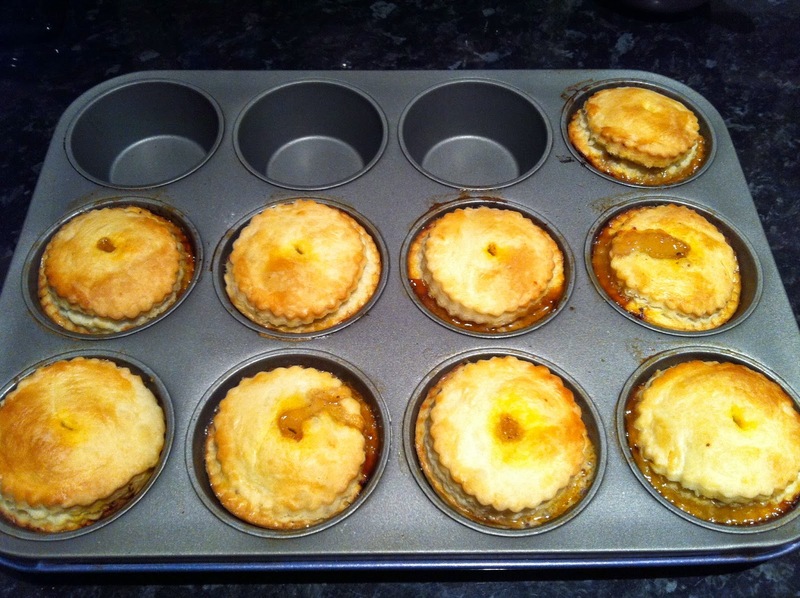 Our regularly updated World Cup Pie Blog - which had well over 1,000 views! Celebrating 150 years of pie making with Robinson's Bakery in Manchester. Our first ever Pie Book Review - 92 pies by Tom Dickinson. Our confirmation that we did not graffiti "The Pies" on a motorway bridge on the M6! The world's first ever Piecnic took place - and we created a video to celebrate 500 pie posts on Pierate! Our most popular "reci-pie" article to date featured pies from Great British Bake Off stars Mary Berry and Paul Hollywood going head-to-head in a pie-off! We celebrated 200,000 page views with new Honourary Pierateers - Ashleigh and Olivia! The launch on 26th September of the first of a weekly pie news update - Pieday Friday! Travelling up to Wigan to meet fellow pie fanatic and "Life of Pies" book author Martin! A rather unique and Christmassy "Partridge in a Pear Pie" review - once again from Nice Pie! We certainly won’t forget the record-breaking 224 posts made this year in a hurry, making it the most productive year yet! Here’s to many more pies and reviews in 2015! continue reading "2014 Pierate Pie-lights!"